Two weeks before the MD Class of 2021 arrived for orientation, the new Gateways Master of Science in Medical Sciences program was underway. The inaugural class of 20 ScM students kicked off their academic year with an intensive, two-week course that reviewed issues in health determinants, disparities, and systems, ethics and social justice, and clinical skills. They were joined in August by one student pursuing the Gateways Certificate in Medical Science, and all together they are taking anatomy and the same basic science lecture courses as the 144 first-year medical students. While many postbaccalaureate programs offer undergraduate-level, pre-med courses, programs like Gateways teach at a medical school and graduate level. 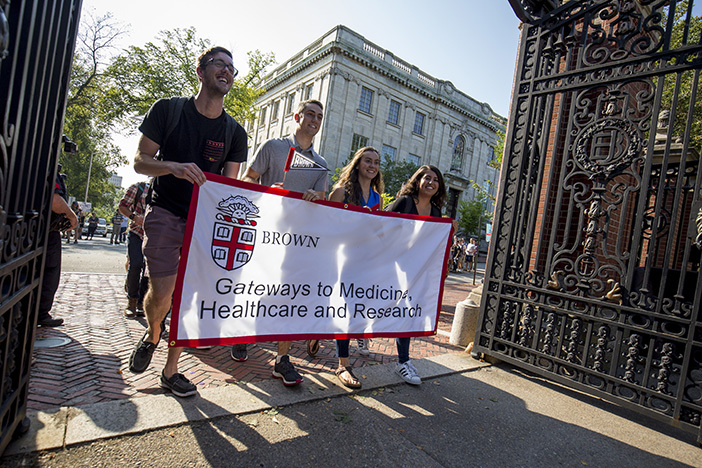 But unlike master’s degree programs at other medical schools, Anandarajah says, Brown’s goes beyond basic science by requiring longitudinal experience at community health centers, seminar courses that discuss the complexities of patient care, and a community-based capstone project. 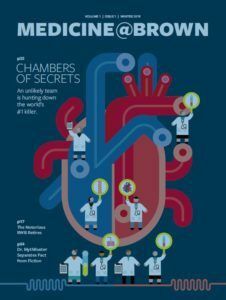 “What makes a good health care provider or researcher? Someone who can handle the rigor of the science coursework, but also has a view of the bigger picture and a commitment to making a difference,” she says. In addition to Anandarajah, Elizabeth Tobin-Tyler, JD, MA, assistant professor of family medicine and of health services, policy, and practice, is teaching Gateways seminar courses. Thais Mather, PhD, assistant professor of medical science, is leading team-based learning sessions that supplement the basic science lecture courses, and Amy Chew, PhD, lecturer in ecology and evolutionary biology, is teaching anatomy. Patricia Vescera, who came to Brown in 2007, was recently promoted to program manager. Because the lecture halls at 222 Richmond are at capacity, Gateways students are attending lectures via livestream to a second-floor case study room. Anatomy labs, seminars, and team-based learning are held in the Medical School and in Gateways’ new office suite, on the first floor of 233 Richmond St., which includes student study space, fridges, and a lounge area.